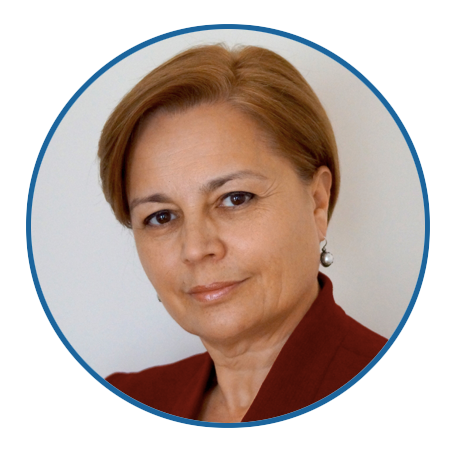 Dr. Irina Agoulnik is a talented CEO and entrepreneur with decades of experience in the biotech industry. Dr. Agoulnik is interested in exploring opportunities to serve on a board of directors or an advisory board to support businesses and organizations in the areas of biotech or science research and joined AdvisoryCloud to find the right opportunities that would complement her background. “Board members provide the critical intellectual capital and strategic resources to power success and strengthen companies they serve. Serving on a board of advisors for a non-profit is a wonderful way for me to support a cause that I care about, and to build my own skills and expertise,” said Dr. Irina Agoulnik, CEO and Co-Founder of Vesti Intelligence Corporation. As an active member on AdvisoryCloud platform, Dr. Agoulnik participates in the Advisory Council roundtable discussions and takes advantage of the 2,500 Executive Education resources. She networks in a pool of over 10,000 executives and has access to thousands of opportunities with companies who are seeking advisory board candidates. “I am pleasantly surprised by the diversity of the board positions that AdvisoryCloud provides its members. And, the customer service representatives go above and beyond to assist their customers and work directly with AdvisoryCloud members to guide them through onboarding process for achieving the best results sooner,” said Dr. Agoulnik. AdvisoryCloud platform combined with the talents of the Board Services team connected Irina with over 25 board seat opportunities with companies in her area of interest. Within a few weeks and with the support of our Board Services team, Dr. Agoulnik was offered an advisory board position with Assured Science Exchange (ASE), a non-profit organization that is working to create the most advanced and inclusive system for scientific research. ASE scientific exchange platform creates an environment for competitive collaboration and brings 21st century inventiveness, technology, and entrepreneurship to the scientific research enterprise. It is a perfect fit. Assured Science Exchange - a nonprofit platform created for more stability and increased attention on discovering the unknown - needed additional expertise to help the organization grow and build its brand and credibility. The founder, Dr. Cedric Wesley, turned to AdvisoryCloud to recruit potential candidates for its Advisory Board. Dr. Agoulnik was selected for her abilities to interpret corporate vision and strategy, to translate objectives into actionable plans and to provide leadership to multidisciplinary scientific programs and initiatives. We take the time to learn about our Members’ expertise and support their efforts to find that right board placement for their professional background. Irina had all the attributes that Assured Science needed. We are thrilled to have a WIN-WIN for all. The executive matching service provided by AdvisoryCloud is excellent, both in terms of information and services provided. I would highly recommend AdvisoryCloud, particularly to startups facing the daunting task of reaching and recruiting strong and active advisors. About IRINA I. AGOULNIK, Ph.D. Previously, Irina worked at two institutions affiliated with Harvard Medical School: Dana Farber Cancer Institute and Brigham and Women’s Hospital. As Director of Operations for the $24M, five year, NIH funded initiative SysCODE (BWH), she worked closely with Program Director, Consortium Team Leaders, External Advisory Board and NIH program officers on implementing Interdisciplinary Research Consortium (IRC) strategy, and participated in the National Evaluation of NIH IRC program. Irina holds PhD in Biology (Russia), MS in Physics (Kazakhstan), and a Diploma in computer programming (USA). Her work at Princeton University resulted in several co-authored publications. In addition, she holds a certificate in “Business Strategy: Achieving Competitive Advantage” from Cornell University (eCornell) and a certificate in “Women on Boards: Getting On and Adding Value” from Harvard T.H. Chan SPH.